The Berry Good Farms Weekend Festival dishes up a culinary weekend filled with live music and entertainment, delicious fare prepared by Jacksonville’s trendsetting chefs, craft beer from local breweries, and an alfresco dinner paired with wine. 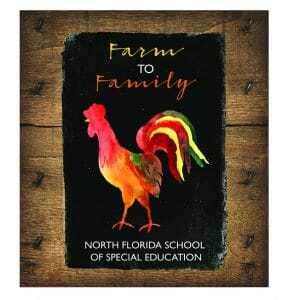 The inaugural three-day fundraising event is the school’s innovative collective effort to support the programs of the North Florida School of Special Education by celebrating the spirit of community with the power of food. 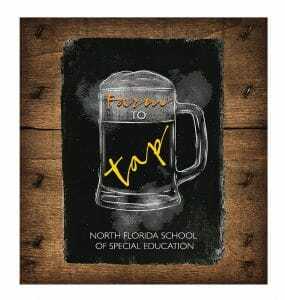 Friday, April 5, 2019 | 4 to 8 p.m. The Black Sheep Restaurant Group serves up tantalizing BBQ and fish fry favorites using fresh ingredients from Berry Good Farms for this family-friendly evening of fun featuring games, a petting zoo, live music and dancing, and so much more. Saturday, April 6, 2019 | 4 to 8 p.m.
“Top Chef” Kenny Gilbert of Gilbert’s Social and Gilbert’s Underground Kitchen along with Jacksonville’s celebrated chefs delight the palate with an array of delicious food paired with local craft beers. Nashville recording artist, Alexandra Demetree, and Jacksonville’s Top Shelf Band take the stage for an evening of great entertainment. 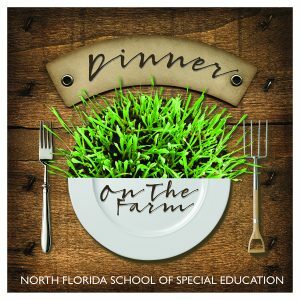 Sunday, April 7, 2019 | 4 to 8 p.m.
Berry Good Farm’s Chef Brett Swearingen and culinary team together with Restaurateur Chef Matthew Medure of M Hospitality Group and its Restaurant Medure, Rue St. Marc, Matthew’s and M Shack brands present an alfresco dinner paired with wine served by transition and post-graduate students in NFSSE’s Culinary Arts program. 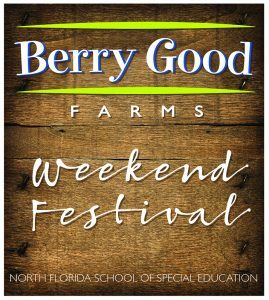 All proceeds from The Berry Good Farms Weekend Festival benefit the North Florida School of Special Education and Berry Good Farm’s continued goal of becoming a self-sustaining student micro-business. Our programs give young adults the tools for a healthier lifestyle and applicable training to retain compensated employment in our community.